Garissa Town MP and National Assembly majority leader, Aden Duale wants senate ICT committee chairperson, Gideon Moi to step down. 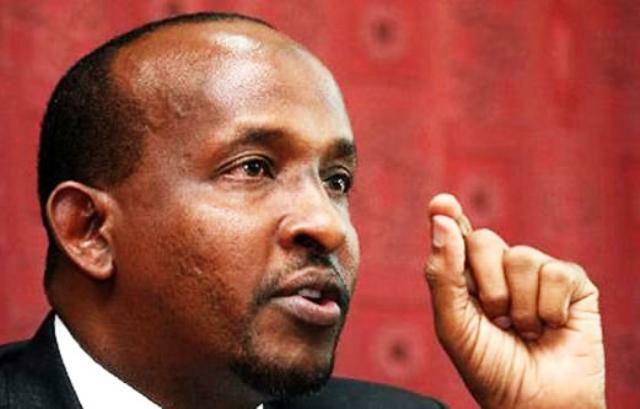 Duale has faulted the senate committee for its recent probe into the government’s media shutdown that happened between January 30 and February 9. “Gideon Moi cannot chair meeting on ICT dealing with media issues, because he is a media owner. CS Mucheru will not appear before the committee, because the matter is still in court,” Duale said. The Moi led committee summoned ICT CS Joe Mucheru on Thursday, February 15 and then again on Monday, February 19 but was still a no-show. The CS had confirmed his attendance only for the legislators to receive a letter from the Principal Secretary, Henry Mungasia excusing him. He was apparently going to be out of the country for official duties between 19 and 26 February. “It is therefore to ask the committee to postpone any meeting with the CS until he returns,” the letter read in part. The government shutdown four TV stations; Inooro, Citizen, KTN and NTV for airing live Raila Odinga’s ‘swearing in’ ceremony.